4 rubber lining given on the bottom for sturdy floor grip, handle for carrying the bucket conveniently. Double driver function eliminating pedal breakage issue. 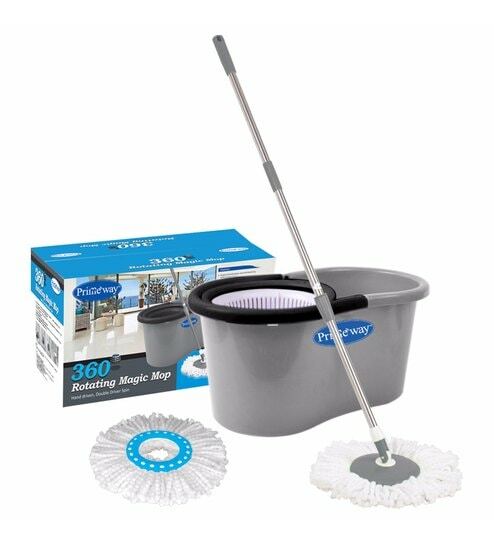 You surely need a hand for hidden corners and places which are difficult to reach while cleaning, to ease your effort we offer a variety of brooms and mops to choose from. A one-stop-shop for home decor and furniture, Pepperfry sells a home product every 30 seconds.